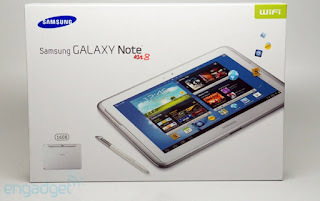 21/01/2013: Samsung's supposed MWC tablets! The Xperia Tablet Z announced! Updates galore and Samsung's US ads turn on Blackberries! Plus much, much more! 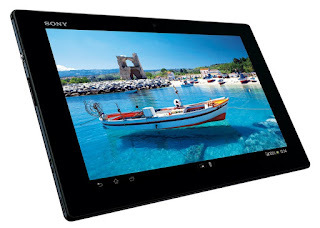 Sony announces the Xperia Tablet Z! At the crack of dawn this morning Sony made the Xperia Tablet Z official, only a matter of days after we covered the leaked spec sheet. Surprisingly, it turns out that the leak was very close to what we saw this morning! So the Tablet Z is packing a Qualcomm 1.5GHz quad-core APQ8064 processor, as well as 2GB RAM, a very healthy 32GB of storage, 8.1 megapixel rear camera, along with NFC, LTE, a microSD card slot and Sony's "S-Force" virtual surround sound technology, we're not sure how effective this will be though. The whole thing will be running Android 4.1, but these are the more mundane specs, the best is yet to come. The crowning glories of this tablet are two things really. The first of which is a new high for Sony and that's the 10.1-inch 1,920x1,200 screen with the Mobile Bravia Engine 2! The best Sony's tablets offered before was a 1,280x800p 9.4" display, so this is a considerable step up. The second stand out feature is the size! The Tablet Z comes in a tiny 6.9mm thick form factor, which weights in at a mere 495g. Both of these steal the titles of world's thinnest and world's lightest tablet away from Toshiba's Excite 10 LE. To top the whole thing off you'll be happy to know that it is both waterproof and dustproof so hopefully it'll be pretty durable. At the moment the only concern we have is that the battery is a 6,000 mAh unit, so we'll see how well it holds up when the first hands on reviews start trickling in. If you're interested in the device you can pick it up in either black or white, but at the moment we're not sure of cost or availability, we have a suspicion we'll have to wait for MWC to find that out! If we hear anything though we'll be sure to let you know! The full press release is available here, unfortunately it's in Japanese! Samsung devices rumoured for MWC launches! We've been hearing a fair bit lately about what we can expect to see at MWC next month and today we've heard rather a lot of details about Samsung's supposed plans. There's a couple of codenames and things which have now been confirmed, but most of the details are about Samsung's tablets so far because we're not expecting to hear any news on the next Galaxy S device until May! So what are these tablets that we have to look forward to? The Kona is the one device that we already know is definitely arriving, as Samsung's J. K. Shin has already confirmed to iNews24 that this, the Galaxy Note 8.0, will definitely be unleashed at MWC in Barcelona. The tablet will feature a solid 8-inch 1280x800 LCD display, 5 and 1.3-megapixel cameras on the front and back respectively. There will also be 2GB of RAM, 16GB/32GB of internal storage, which is microSD expandable. The whole thing will be running Android 4.2 Jelly Bean on a 1.6GHz quad-core processor. This is the codename for the third set of Galaxy Tabs! The last two years we've been presented with two tablets; one a 7" device and the other a 10.1" tablet, both of which are traditionally quite cheap as far as Samsung devices go! This year probably won't be any different, but we're told to expect some 5-megapixel cameras and two variants of each tablet and both the Wi-Fi-only and Wi-Fi + 3G options will be offered! This is the tablet that we know the least about and it will supposedly be a high-end device that will come with a 5-megapixel camera and either 16GB or 32GB of internal storage. That's all the details we know at the moment, but this could just be a deduction from the people who posted the stories first, but it seems to be quite logical information. If we hear any more about any of the devices we will be sure to let you know! Samsung have announced that there will be a new NFC-equipped version of the Galaxy S3 Mini arriving in the UK! This will bring with it the 'beam' functionality Samsung's higher end devices currently offer. We're not sure this new variant will be for everyone, but if you do use NFC a lot then this could be worth your while, but we definitely think you can get a lot more for your money! There's rumours circling the web that there could be a new 4.8" iPhone coming later in the year! As with all Apple related products this rumour should be taken with a huge pinch of salt until there's an actual announcement from Apple. LG has said that the supply problems with the Nexus 4 are because Google underestimated how popular the device would be. The Samsung Galaxy Nexus and previous Nexus devices sales figures meant Google expected much lower demand for the new phone, which would actually explain quite a lot! But, apparently this will be rectified in the coming months! 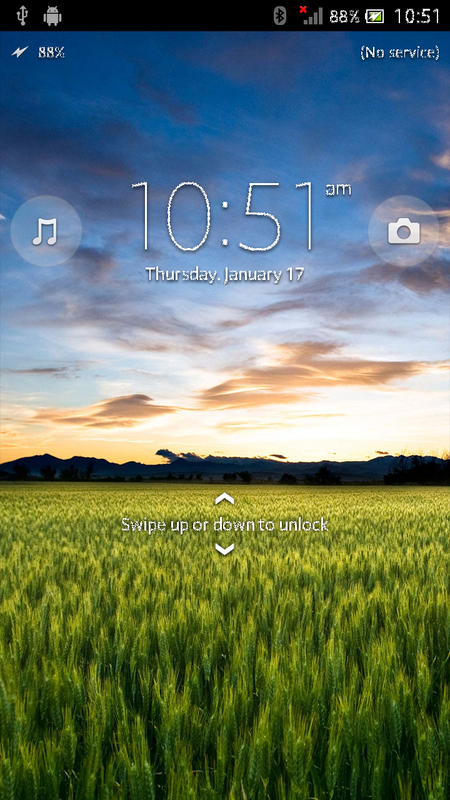 The guys over on XDA have managed to get hold of a couple of screenshots of the supposed Android 4.1.2 Jelly Bean update for Sony's Xperia S. There's a few issues, most notably with the font, pictured right, but the update isn't actually due to arrive for quite a while yet, it's due in April, so it's good to see the work is well under way. With a bit of luck Sony might even beat their April target! Talking of updates, Samsung Thailand has seemingly confirmed Android 4.1.2 Jelly Bean will be coming to the lovely AMOLED-screened Galaxy Tab 7.7! But, that's not all Samsung's Galaxy Camera will reportedly get an update with new shooting modes and a bump to Android 4.1.2! RIM's CEO, Thorsten Heins, has hinted at the possibility of selling off the hardware division or licensing the software which they hope they can utilise for the next decade. "There are several options, including the sale of the hardware production is as much as licensing our software." [via Google translate] Die Welt Via Slashgear. 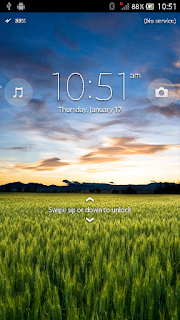 January the 31st is now the day earmarked by various places around the internet for the release of Windows Phone 7.8! This is nothing official but the amount of official Facebook pages which have suggested this as the date makes us all but certain that this is when the update will be landing! Huawei has posted their 2012 earnings and things are looking really quite good for the Chinese giants. Huawei generated $35.4 billion worth of revenue, which when all was said and done worked out to $2.48 billion worth of profit! Huawei also expect to see growth in phone sales and they don't expect to see the strange anti-trust issues with America hamper growth as we push into 2013! Sky are offering a new SkyGo options! SkyGo Extra will cost you £5 extra per month and will offer you the option to download movies and tv shows to your phone or tablet, which should help you push through those tedious train journeys in the morning and evening, without costing you the earth on your phone bill! Subscribers will also be allowed four users per account. There will be an initial two month free trial before you'll have to start paying the £5 extra! And finally, Samsung seemingly isn't content with just poking fun at Apple with their adverts for America, today they showed off an advert which targets Blackberry owners. The point is to show that it is not just Blackberry phones which offer business users security and good options. Naturally there's a little demo of Samsung's 'multi-view' feature and some of the other merits of the Galaxy S3 and Note 2!